With a childhood immersed in British Columbia’s breathtaking nature, the forest occupies a special place in Dr. James Olson’s past. Through his research, it is set to play a vital role in a more sustainable future for us all. 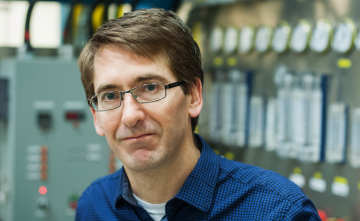 Olson, a professor in the Department of Mechanical Engineering, is a member of the Forest Bio-products (FBP) Institute at UBC. The FBP Institute brings together a multi-disciplinary research team, working collaboratively with a single goal in mind: to advance the world’s bio-economy, an economy based on renewable biological resources. This invaluable network couldn’t have been formed at a more critical time. As the world’s population booms and the middle class of countries such as China and India expand rapidly, our consumption of non-renewable resources is skyrocketing—causing irreversible damage to our planet. The FBP Institute, though, is maximizing the British Columbian advantage to lead the bio-revolution: extracting high-value products from biomass, an abundant material sourced primarily from residual and waste products from BC’s forest industry, to create alternative and sustainable materials, energy, and chemicals. The FBP Institute’s “superhero team” of researchers, as dubbed by Olson, has already spurred innovation in the bio-economy. Dr. Paul Watkinson and his team, for example, are working on developing and testing high quality synthetic gas, or “syngas”, derived from biomass, using cutting-edge technology at the UBC Pulp and Paper Centre. This renewable source of power has the potential to replace natural gas and run our future fuel cells. Dr. Jack Saddler and his team are working on turning forest residues and “wastes” into liquid fuels and chemicals in what is termed “biorefining”. 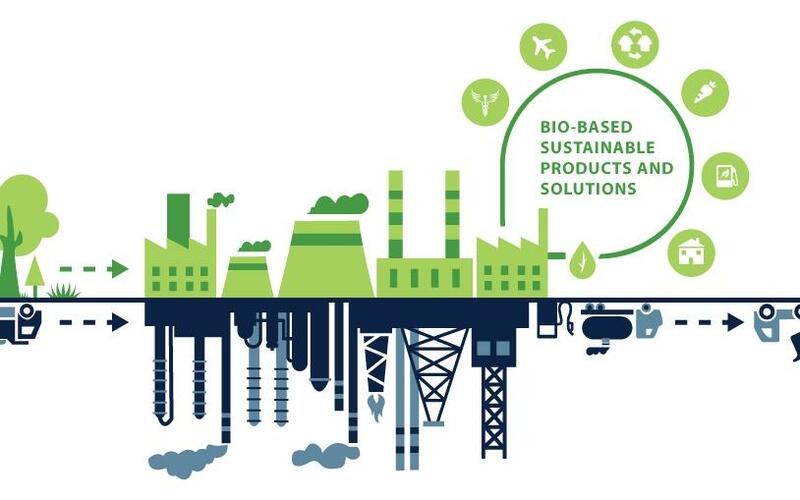 Analogous to oil refining, in which multiple fuels and useful products are extracted from petroleum, biorefining is a much more sustainable and economic way of manufacturing these products. Olson has long been driving innovation in the bioeconomy and beyond. Following revolutionary energy-saving developments in pulp and paper industry technology, Olson is currently working with Dr. Mark Martinez to formulate a lightweight, low-density cellulose material from micro and nano-fibres—part of a new class of “bio-materials”. The FBP Institute scientist Dr. Frank Ko is also working to develop new materials of this kind. Bio-materials have the potential to replace fossil-fuel materials, and have a wide and exciting range of applications: from sound proofing and insulation to advanced cosmetics and high-strength turbine blades, and even to bio-compatible scaffolds for 3D printing of human tissue.